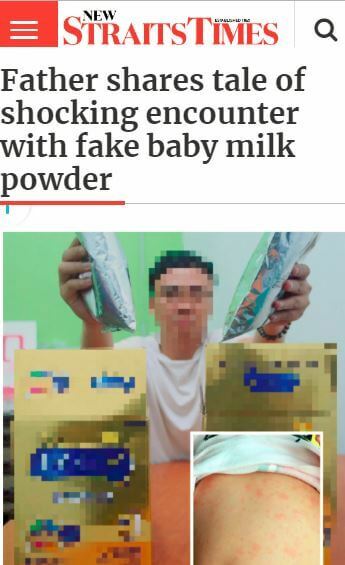 The story started back on 13th December 2017 when there was an online news report by NST.com on fake baby milk powder in Melaka. Apparently, the 10 month old baby developed some complication after consuming suspected fake or counterfeit milk power. You can read the full story here. The news report did not reveal the exact brand of the milk powder but only it was from Mead Johnson. But based on the packaging design, netizen could guess that it was infact Enfalac A+. The scary thing is we actually gave the same Enfalac A+ to our first daughter more than 4 years ago! It is very scary how us parent unknowingly bought and fed our kids milk that potentially can be harmful to them. How do we detect or identify fake or counterfeit milk powder? At the moment, the only way to differentiate real versus fake Enfalac A+ is through their packaging. 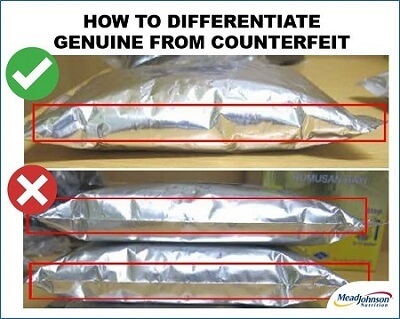 The easiest way to identify the counterfeit product is to examine the individual foil pouches. The genuine Enfalac A+ Step 1 pouches are a bit puffy. The counterfeit pouches are tight-fitting to the powder and have distinctive sharp creases on both sides that are not present in genuine pouches, as indicated in the image. The picture below shows the difference. For more information, please visit Enfagrow A+ FB page.